Achim Freyer’s “Das Rheingold” will kick off a two-year journey on Wednesday. The German producer’s latest opera -- the first installment of the Ring Cycle by Richard Wagner -- will premiere Wednesday at the Seoul Arts Center, where it will run until Nov. 18. The other three operas will be performed in the next two years. Wagner’s Ring Cycle, or “Der Ring des Nibelungen,” is a set of four epic operas written over some 26 years, from 1848 to 1874. The characters are taken from a mythology-themed Norse saga and epic poem. Apart from “Das Rheingold,” the other operas in the cycle are “Die Walkuere,” “Siegfried” and “Goetterdaemmerung.” They run for about 15 hours total and are usually performed over four nights. Freyer’s “Das Rheingold” has drawn much attention from the arts scene here since the announcement in March that it would come to Seoul, as did his two previous Ring Cycle productions -- the 2010 production at the Dorothy Chandler Pavilion in Los Angeles and the 2013 production in Mannheim, Germany. Freyer’s unique staging style, avant-garde and fresh, is a major draw. Freyer, well-known for his stage and costume designs, reinterpreted “Sugungga,” a well-known Korean pansori, or lyric-based narrative, in “Mr. 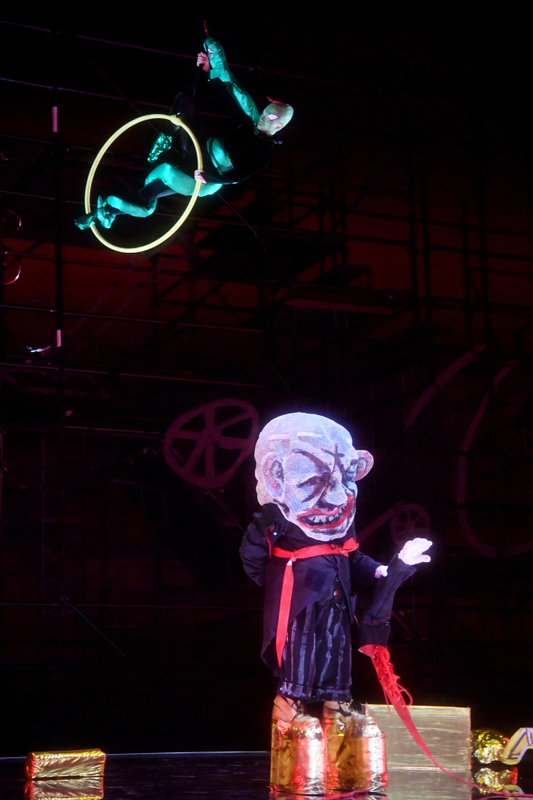 Rabbit and Dragon King” at the National Theater of Korea in 2011. If anything, Freyer’s new production of “Das Rheingold” promises visual pleasure. 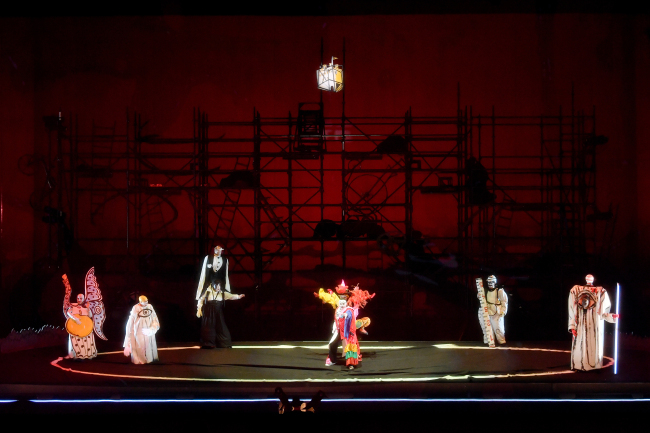 The flamboyant costumes and some 500 projection images do much to modernize the 19th-century opera. However, Freyer has also drawn some criticism. One concern was the difficulty of adequately preparing an orchestra for the piece, which is not frequently performed in Korea. To overcome this disadvantage, six German musicians joined some 80 musicians from Korea to form a project orchestra. Matthias Fletzberger, conductor of the project orchestra, expressed confidence in its abilities at a press conference held Monday after the rehearsal. The singers selected to perform Wagner’s music, which is packed with powerful sounds including the sound of brass instruments, include Gerard Kim and Antonio Yang in the role of Wotan and Sergei Leiferkus and Oskar Hilebrant in the role of the dwarf Alberich. Korean subtitles are provided on a screen that hangs from the top of the stage, but this may be a little distracting. Audience members looking up at the subtitles risk missing the action on the stage.